Henri and ni_hao , as i can see you have lot of experience with this type of cameras , i have a similar issue , but with a Guudgo GD-SC03 camera , i would like to know if you understand how can i access to the video stream without depending from the service provider . and i can access , to some additional information by looking at the java script code . does this information means anything to you , that could help me to find a way to access it ? Port 554 is open so it will probably support rtsp. Somewhere in a search it said ONVIF so try to add the camera using the tab ONVIF Source. This makes me worried Port: 5050 mmcc since that protocol in another situation gave that it was encrypted. Not more that I can say just now. So test and see what happens. Are you lucky it will support ONVIF. I have also bought this Guudgo camera and today it arrived , I haven´t connected it to the app as in another forum they said the made an firmware update from 3.0.6.08.01 to 3.1.1.0908 and on the new firmware some ports where no more accesible. can you help to acces the stream ? Gus have not reported back anything so I have no more information than above. Maybe @gnkarn can come back and say something about his experience? In the latest firmware port 554 is closed which is the port for rtsp streaming. That is strange I think. If you add the camera using the tab for ONVIF Source in NCS, what happens? 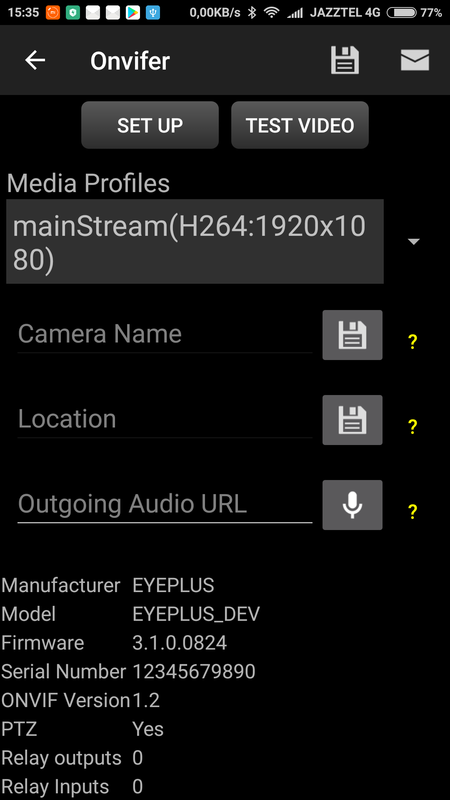 I cannot find in the specs that the camera in ONVIF compliant. I can also recommend to download and use ONVIF Device Manager. 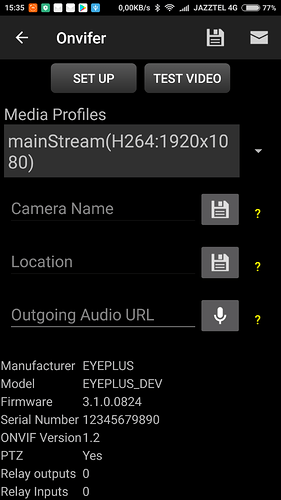 That is a very good tool to find out if the cameras is onvif compliant and how the rtsp url should look like. In many reviews they say that the camera is not directly accessible by IP and it must be used by the cloud service or the app. If port 554 is closed they use the multimedia port 5050 instead where the data traffic goes. It is most likely rtsp, but in my experience it is encrypted. I have a couple of other IP cameras so I know a bit about the subject but not as much as some here it seems. i would love to be able to use PTZ etc without using their cloud. no sooner said than done! and was so simple! I have the tinyCam PRO app on android. it discovered the camera as an ONVIF camera when I searched the network scan. That was literally it, now works in the app and can also use PTZ from within the app too. Thanks, great info there @vanginger . So in Netcam Studio do the following. SInce the camera support ONVIF go to the tab ONVIF Source when adding a new camera. Either search for the camera or enter the IP number directly. Enter username and password and connect to the camera. Now there should be different profiles for the video and that it support PTZ. Save and go and that should be it. Hi! I bought one of these cam as well, and I can’t reach the stream. The only problem is the user/password, because the admin/admin, admin/password, admin/12345 doesn’t work. Is there any other combination what could be work? Have you tested with admin and a blank field for password? it would be very good , if we could load other firmware , so it could act as a generic camera at least. The “Open TCP Port: 5050 mmcc” is to my experience not good news since the protocol to get the stream from the camera is embedded in the that mmcc. Port 554 that handless rtsp is closed. Some user have used another firmware from the link in a post above. That might be something. But this seems to be tricky one so be careful. thanks a lot , i was able to download the firmware , and connect using vlc on port 554 , now i have to test onvifer , as i was able to connect but for some reasin the configuration do not get saved, so the configuration process do not end well , so i think i will get there sooner than later …! from the chat above its said that it has encrypted communication to the “cloud” . Is there any chance to give that camera a static IP? I have guudgo GD-SC02, but after 1 month the camera does not connect to the network, how to flash the camera to restore its work?